Federal prosecutors are fighting a request to unseal an apparent criminal complaint against WikiLeaks founder Julian Assange. FALLS CHURCH, Va. (AP) — Federal prosecutors are fighting a request to unseal an apparent criminal complaint against WikiLeaks founder Julian Assange. In papers filed Monday in Alexandria, prosecutors argued that the public has no right to know whether a person has been charged until there has been an arrest. “Any contrary rule would completely undermine the proper functioning of the criminal process at this stage: anyone could petition the Court to require the government to confirm whether the time was right to flee or evade arrest,” prosecutor Gordon Kromberg wrote. Assange has been staying in the Ecuadorian Embassy in London since 2012 under a grant of asylum and has long expressed fear of a U.S. prosecution. Recently, Ecuadorian officials have placed restrictions on Assange’s use of the embassy, including requirements that he clean up after his cat. The Reporters Committee for Freedom of the Press asked a judge Nov. 16 to unseal charges against Assange after prosecutors inadvertently mentioned those charges in an unrelated case. The committee’s lawyers argue that the government no longer has any legitimate reason to keep the charges under seal now that they have mistakenly been made public. Prosecutors acknowledge the mistake in Monday’s court filing but refuse to say whether the error is confirmation Assange has actually been charged. The Associated Press and other news outlets have reported that Assange is indeed facing unspecified charges under seal. 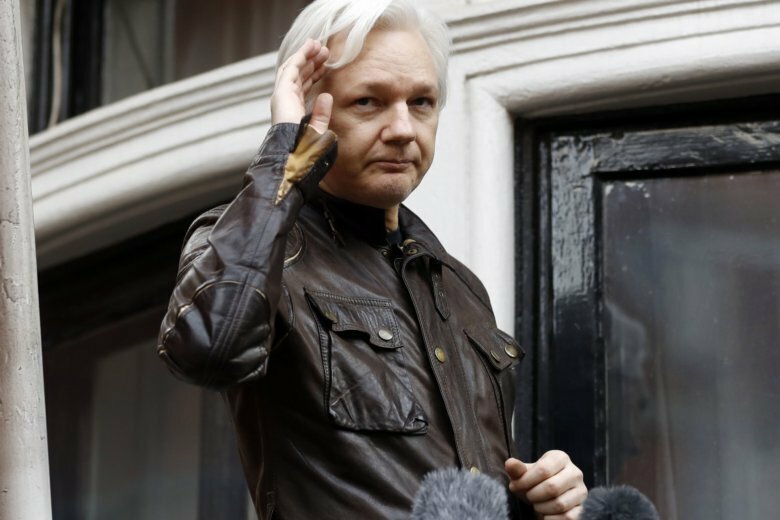 While the exact charges against Assange remain unclear, WikiLeaks has served as a vehicle for release of thousands of classified U.S. military and diplomatic cables. WikiLeaks’ role in releasing emails hacked from the Democratic National Committee in 2016 has also been under scrutiny as special counsel Robert Mueller has investigated Russian interference in the 2016 election and whether the Trump campaign was involved. A hearing on the motion to unseal is scheduled for Tuesday morning in Alexandria.